Music Director Ludovic Morlot and the Seattle Symphony will present seven premieres by composers from around the world during the 2016–2017 season. Music Director Ludovic Morlot got his start commissioning composers to write new pieces for him as a student at the Royal Academy of Music in London. Since taking up the baton at the Seattle Symphony in 2011, Morlot has placed the music of contemporary composers at the center of his innovative programming. Whether he’s championing the music of his friend and mentor, Henri Dutilluex, or commissioning composers for the Symphony’s genre-defying Sonic Evolution, Morlot makes sure there are plenty of opportunities to discover something new at the Seattle Symphony. Morlot will conduct four of the seven premieres taking place at the Seattle Symphony this year, starting with a new commission by Gabriel Prokofiev on September 22 and concluding with the U.S. premiere of a new violin concerto by American composer Aaron Jay Kernis on March 16. He will also devote a week to a collaboration with Polish composer Agata Zubel, beginning with the world premiere of her new work, In the Shade of an Unshed Tear, on October 27. This year the Seattle Symphony will present five world premieres and two U.S. premieres as part of its ongoing commitment to commissioning and performing new music. Composer and producer Gabriel Prokofiev returns to the Seattle Symphony with a new commission, When the City Rules. Morlot will conduct the world premiere at the opening masterworks concerts of the year on September 22 & 24-25. Prokofiev previously appeared on Sonic Evolution in 2014 with Dial 1-900 Mix-A-Lot, dedicated to Seattle rap legend Sir Mix-A-Lot. Before that, the orchestra performed his Concerto No. 1 for Turntables and Orchestra at an [untitled] concert in 2012. Gabriel Prokofiev’s commission is generously underwritten by Norman Sandler and Dale Chihuly. 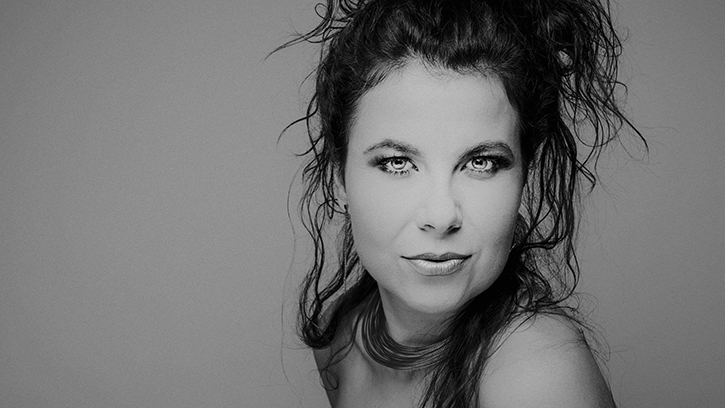 Described as contemporary music’s “multiple threat” by The New York Times, Agata Zubel is a composer, soprano and violinist. Morlot will conduct the world premiere of her new orchestral piece, In the Shade of an Unshed Tear, on October 27 and 29. Zubel will perform the music of Polish composer Witold Lutoslawski and her own chamber work, Chapter 13, on the first [untitled] concert of the year on Friday, October 28. She will also present a public lecture entitled “Are the Lyrics the Music Yet?” at the University of Washington on October 25 about her vocal writing. The talk is free and open to the public. Portland composer Kenji Bunch returns after a highly-successful debut during the Seattle Symphony’s first piano competition in September 2015. Bunch moved to New York before returning to his native Portland in 2014 to assume the role of artistic director of Fear No Music. His latest composition for orchestra, Groovebox Fantasy, is dedicated to jazz composer, conductor, arranger and producer Quincy Jones and will be premiered by Morlot at Sonic Evolution on November 11. Read an interview with Kenji Bunch from our 2015 Piano Competition, in which he reflects about hearing eight different interpretations of his piece on the same day and about growing up in the Pacific Northwest. Violinist James Ehnes joins Morlot for the U.S. premiere of a new violin concerto by American composer Aaron Jay Kernis on March 16-18. Kernis, best known for his effervescent Air for Violin and Orchestra, was the recipient of the 1998 Pulitzer Prize for his String Quartet No. 2 (musica instrumentalis). The commission by Aaron Jay Kernis is generously supported by Patricia Tall-Takacs and Gary Takacs. James Ehnes’s performances are generously underwritten by Dana and Ned Laird through the Seattle Symphony’s Guest Artists Circle. Allah-Rakha Rahman is an Indian composer, singer-songwriter and music producer who is best known for film scores, including the score to Slumdog Millionaire which received Academy Awards for Best Original Score and Best Original Song in 2009. (The Seattle Symphony performed part of the score at Celebrate Asia in 2015.) Rahman’s music combines Eastern classical music with influences from electronic music and traditional orchestral scores. His new piece for the Seattle Symphony will receive its world premiere during Celebrate Asia on March 26, an annual concert organized with local community groups to celebrate and honor Seattle’s Asian community. Scottish composer Helen Grime will make her debut at the Seattle Symphony with a new work to be premiered by Principal Guest Conductor Thomas Dausgaard on June 8–10. Described as an “highly assured and distinctive composer” by The Guardian, Grime is currently the associate composer for the Hallé Orchestra in Manchester. Her music has been conducted by Daniel Harding, Pierre Boulez and Oliver Knussen and has been performed by the London Symphony Orchestra, the BBC Scottish Symphony Orchestra and the New World Symphony. Grime is relatively unknown in the United States, so don’t miss this opportunity to hear the music of one of Britain’s most important new voices. In addition to the regular season of commissions, the Seattle Symphony supports opportunities for early-career and student composers. Each year the Seattle Symphony partners with local community groups to celebrate and honor Seattle’s Asian community with Celebrate Asia. The Seattle Symphony Celebrate Asia Composition Competition seeks to promote and recognize emerging composers who are interested in Asian culture, music and traditions. Applications are due no later than Monday, October 17 and the winning composition will be premiered at Celebrate Asia on March 26. Each year ten student musicians from high schools around Seattle participate in a 12-week composition workshop. Over the course of the program, they collaborate with musicians from the Seattle Symphony as they write new chamber works. Last year, students had the opportunity to work with composer John Adams. The program will conclude with a free, public concert at Benaroya Hall on June 5, 2017 at 7:00pm. Watch this page throughout the year for additional links to interviews and profiles with the composers visiting the Seattle Symphony during the 2016–2017 season. Don’t forget to listen boldly! You can purchase tickets to the concerts above on our website or by calling the Ticket Office at 206.215.4747.